Brooklyn has been a super hot real estate location for the past few years and after this weekend it's a tad bit hotter with the addition of the Fourth Annual NYC Hot Sauce Expo. 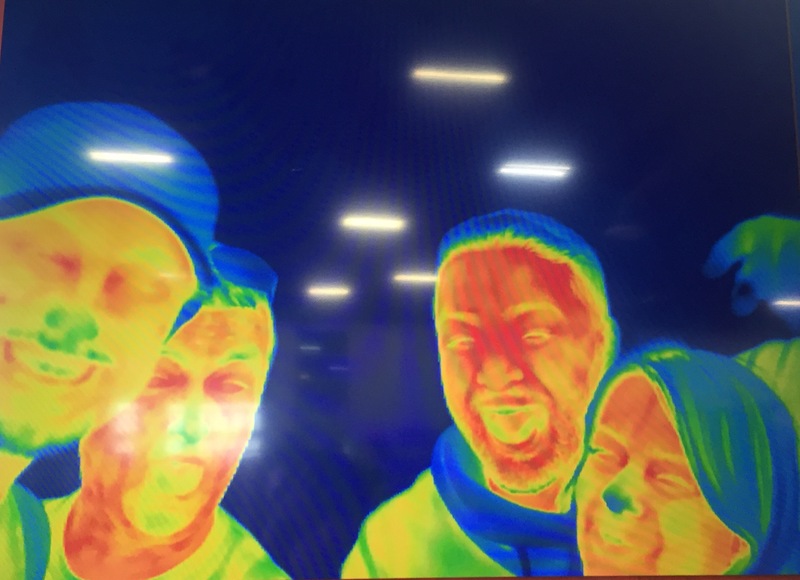 The Brooklyn EXPO Center, in the heart of hipster territory, was packed with thousands of heat seekers and spice lovers from all over the country with one goal in mind -- to share their love of the pepper. When you tour the Expo you're greeted by outlandish product names based around the new "reaper pepper" and tons of burning skull logos, but like a good hot sauce, just below the first heat is an amazing and sometimes unexpected flavor. Yes, the sauces were hot, spicy and for the daring but they are also super healthy! The Expo brought together all types of purveyors from artisanal to corporate but either way you go these healthy bottles have some interesting stories behind them. A few I enjoyed were, The Bronx Hot Sauce, a small-batch sauce made from the peppers of more than 30 community gardens located around the Bronx. Each bottle bought supports the gardens and gardeners who grew the Serrano peppers. I also appreciated Sam & Oliver, a hot sauce inspired by the chef's fun loving, free spirited pugs, but when you're at a hot sauce festival you have to try the granddaddy of them all -- Tabasco. This mega-brand had a really interesting dark chocolate and chipotle hot sauce tasting which is to die for. 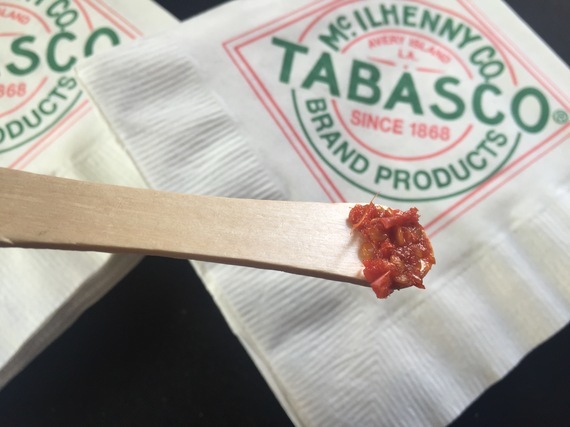 They also have a noteworthy story about how this healthy product makes its way to our shelves and even gave samples of the mash from which Tabasco is derived. All of these hot sauces are packed with nutrition and, in moderation, a great addition to your menu. Capsaicin. This is the dietary compound that is responsible for the "hot and spicy" tastes of peppers and their extracts. Your body's response to this heat actually leads to a negative energy balance and the burning of fat. There has even been some studies that have shown capsaicin helps to regulate blood sugar after meals. In the July 2006 issue of The American Journal of Clinical Nutrition scientists found that the habitual consumption of meals containing capsaicin may be useful in preventing meal-induced hyperinsulinemia, or increased insulin levels, which can lead to insulin resistance and Type 2 diabetes. Caloric Reduction. Many hot sauces have close to zero calories per serving and can be used to replace high-calorie condiments such as salad dressings and mayonnaise. In addition, eating spicy foods decrease hunger hormones and increase appetite suppressing hormones leading to less overeating. Couple this with an increase in metabolism, which can even be seen in the thermal image below, and hot sauce can become a part of your weight-loss regime. Vitamins. The peppers used to make hot sauce are packed with vitamins A and C, which may prevent some types of cellular damage and are necessary for the production of collagen, a protein used to help improve skin, nails and help wounds heal. Furthermore, there is good evidence that eating a diet rich in antioxidants, such as peppers, is healthy and lowers risks of lots of diseases.